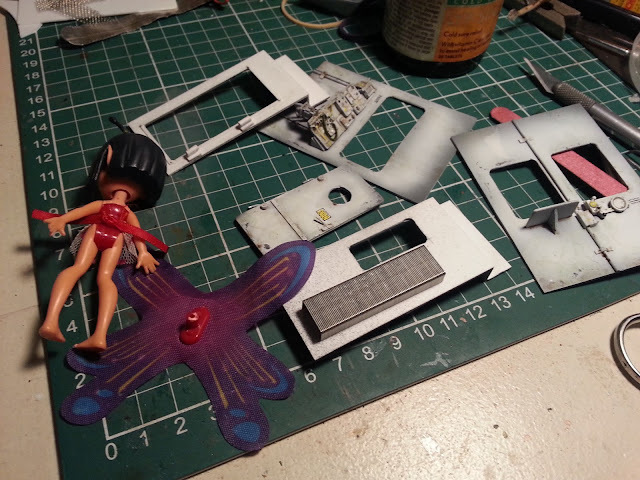 Dave's Model Workshop: Ever find mystery items appear on your workbench? Generally the only foreign objects that end up on my bench are cat hairs and occasionally the cat herself, when she's decided that I'm paying far too much attention to these bits of plastic rather than her and wow, these pots of paint are fun to play with etc. Heh heh, I'm also subject to the random cat hairs! But mine is smart enough to not try to get up there, luckily.